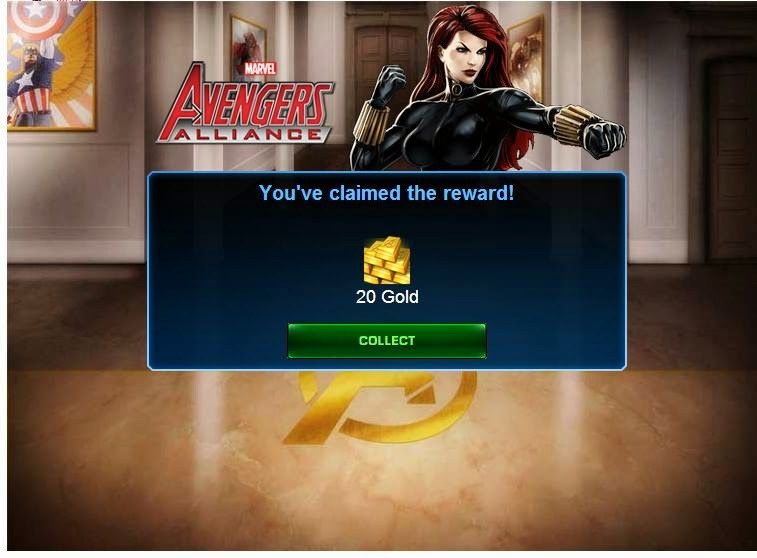 Just click on the play now link and you will get 20 free gold. Just click and win 20 free gold. Now you can delete the game Pirates of the caribbean after its done. 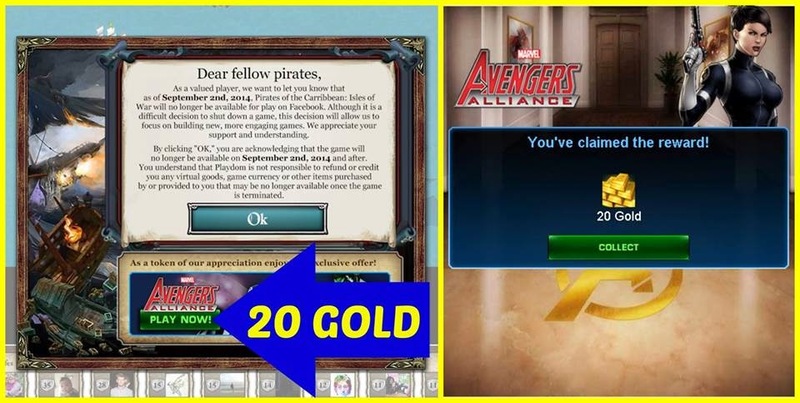 Gold is the premium currency of Marvel: Avengers Alliance, and if you're not willing to fork over your credit card information, you need to know how to manage yours carefully. 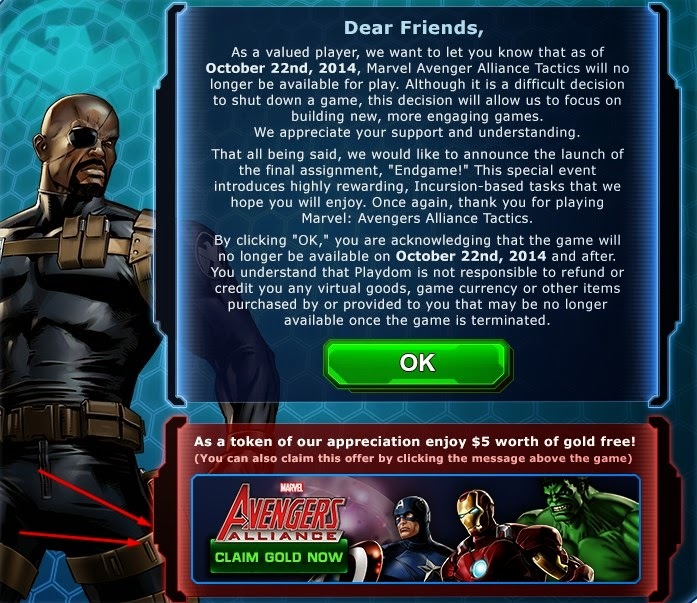 That said, gold is not as rare in Marvel: Avengers Alliance as premium currencies are in other games. In addition to starting the game with a handful of doubloons, you will get 1 more gold each time you level up and 1 each time you four-star a mission. This regular flow of gold into your pocket will tempt you into testing some areas of the game you can't get to with silver and shield points alone, or skip yourself ahead of the curve by accelerating progress. Let's look at how to maximize the impact of your gold on your game. First off, let's touch on some ways you should NOT spend your gold. The boss roulette is particularly tempting when you are trying to get a rare drop, but listen to the voice of experience here: you will not get the drop you're looking for, and what you get instead will not be worth 5 gold. Just consider that the second-best item on a roulette is normally 5 command points... but if you traded gold directly for CP, you would get 10 CP for 5 gold, so you lost half your purchasing power on buying the roulette spin! This is absolutely the fastest way to lose your gold. Getting a couple extra command points to grab that next hero is understandably enticing, but resist the urge. You will get Command Points even faster than you get gold via boss roulettes and 5-starring missions, so patience will pay off. In the end, you will get the extra CP you need for that character you want, but you will not get your gold back after it's swapped. As for shield points, they flow like lies off a politician's teeth once you have sufficient allies. If you need SPs, visit the add-me post and your problems will be solved. Accelerating traning/character experience, upgrading jets, skipping tasks, or anything else that's made for the impatient. Impatience is for the cash players. If you don't want to part with your own money then you'll just have to take your time. Not used very often, but the tutorial has you go in once, so you'll be tempted to go back when things get tight. You'll be happier if you don't. Plenty of people buy these limited edition 2g PvP bonus items. Not only is the gold cost low, but it'll give you a quick shot in the PvP arm. However, these bonuses are hardly irreplaceable... many free items dropped later in the game have bonuses that are just as good or better. Some of these items will even be re-released later as deploy drops. Patience is a recurring theme here. Until you reach levels 65 and 100, which I'll go into in a minute. There are more, and I'm open to suggestions of what else to add here. Now that you're not buying any of those things, what should you buy instead? At level 60, QJ will be available in the store for 36 gold. QJ is a gadget that gives the entire team an immediate extra turn; in a turn-based game this is like handing you a ticket to Winsville. It is the undisputed king of gold buys. There is no other item that can replace it, and you will use it for the entire game going forward. Don't argue with me, don't ask if I'm sure it's worth it; the absolute, unequivocal best way in the game to spend gold is buying Quantum Jumper. If I sound repetitive, it's because I've seen too many players second-guess this advice, even in the comments section of this thread, after my repeatedly saying not to ask if it's worthwhile, some people have asked if I'm sure this is a good idea. Don't be that guy, once you reach level 60 and have 36 gold, immediately buy your QJ and don't look back. At level 65, the commander trench uniforms will be available for 24 gold. These are the best uniforms in the game to-date; not only do they have the best base stats, they unlock all 8 ISO slots, giving you the most options to buff and customize your agent. There are very few gold buys you can make that will universally improve your game going forward, but the commander trenches do just that. As to what class, the generalist is the most popular. I would encourage you to think more critically than that: scrapper has the best stats overall, a great class bonus, and an avoidable class penalty; bruiser has very good stats, is incredibly strong in PvE (especially if you have quick action attacks such as S.A Pincer); infiltrator has the best class bonus overall, one you'll be glad to use in any situation. Also at level 65, the reinforced trenches will be available, following the requisite research, for 100,000 silver each. Some players insist these are good enough. I insist they are wrong. You should have at least one commander trench at your disposal, if not two. I personally have three, and use the reinforced trenches to fill in the classes I use less frequently. This is the limiting factor in participating in special operations. I'm not saying you should blow through every brick of gold you have to play more spec ops, but a well-timed uISO purchase can mean the difference between completing an objective on time and missing out. The weapon drops and characters available through spec ops are very rare and worth acquiring, and if it takes a handful of gold to get you to them, spend without regret. Notice I said "gadgets" and not "weapons." Limited Edition items come "customized," which means they scale to your current level +10 at the time you acquire them. The customized weapons get noticeably weaker once you exceed their set power level, and continue to weaken as you progress. Once you've gone 15 or 20 levels past their power level, they are functionally unusable. Gadgets, on the other hand, have a set effect and the "customized" feature has little or no penalty to them. They are often well worth the acquiring. 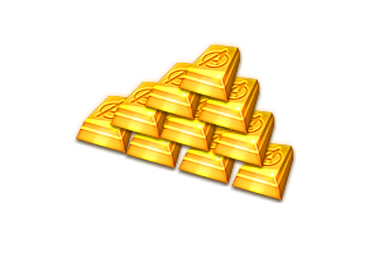 That said, most of them cost 64 gold and that can be difficult to save; if you have to skip them, don't feel bad. Now, take care with this one. There are some pretty potent gold-cost ISOs available after level 100 (as of this writing, the best in the game). However, new ISOs are being released and Playdom has announced that they are looking at ways to make ISOs do different things, so the gold you spend on ISOs now may not seem wisely spent a month from now. That said, the current gold-cost ISO Crystals are across-the-board superior to the research-and-silver ones, so if you want to make your agent or heroes as strong as possible in the current environment, that will mean spending gold. In short, absolutely get QJ and commander trenches; after that it's up to your good judgement, but don't let yourself waste your scarcest resource.